Did you know I do a podcast? If not, then two things: A) I gotta do a better job about reminding my blog readers! And B) Now you do! On the latest episode, #38, we discuss art shows at galleries and other venues. You long-time readers know that I've done a fair amount of art shows (and in fact have an upcoming solo show at GEEKS in Whittier. A Halloween themed show! More info in the next week or so...). Well, I figured it was high time to discuss doing gallery shows on the podcast. Check out my JAVILAND D.I.Y. COMICS Podcast blog here. I talk about that evening on the podcast, so please give it a listen to if you're interested. There's some good content on that episode if you're curious about what it takes to join, or put on a gallery show. Also, you can subscribe to the JAVILAND podcast for free via iTunes, just visit my page on the Talkshoe website here. Earlier today at GEEKS Comics in Whittier, I conducted my DIY COMICS CRASH COURSE. I was really satisfied how the class turned out. The attendees were all really interested in the material I covered, as well as with one another's planned projects. The companion book to the workshop. This is the second time I've taught this particular workshop. With the 2 1/2 hour time limit, there was a definite amount of material I wanted to make sure I covered for the attendees. Not much chance to devote the whole time to the actual principles of storytelling, but I do focus on what I consider the practical aspects of publishing one's work. And there was no shortage of questions and contributions from the attendees, which I feel makes for a real robust, immersive experience for everybody! 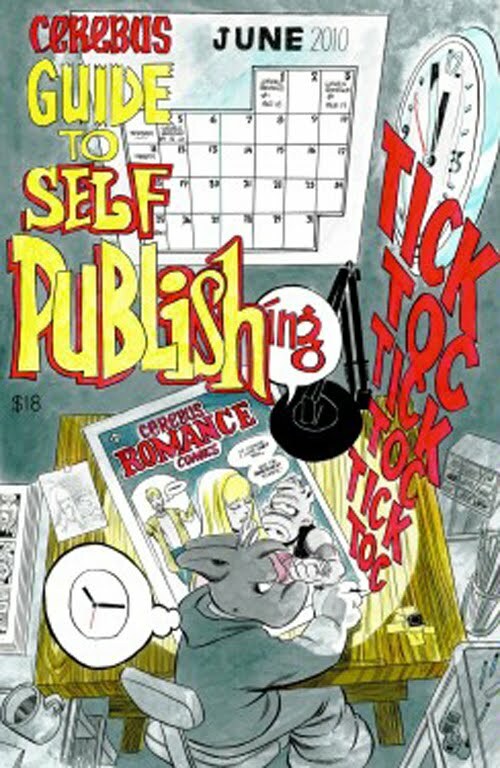 Establishing the final form of one's story, whether it be a web comic or a printed publication of some sort, requires the artist to invest plenty of time in researching costs and time tables for web sites, printing fees, targeted convention dates, etc. 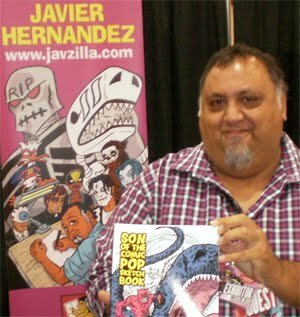 What I did before I published my first book back in 1998 was to target an actual comic convention (APE) to debut my book at. This forced me to develop a schedule in which to finish my book, which in my case is always a good thing. (The ol' 'gun to the head' routine, so to speak!). I honestly don't recall if I obtained quotes for my first printed book while I was still working on it, but it's something I recommend to the novice publisher. At least getting some type of ballpark figure gives them a leg up on saving up for their future printing bill. To finish their comic book, then realize they have to wait another 4 months to save up, for example, $500.00 to cover printing costs...Well, that's something that could be addressed with an early quote. 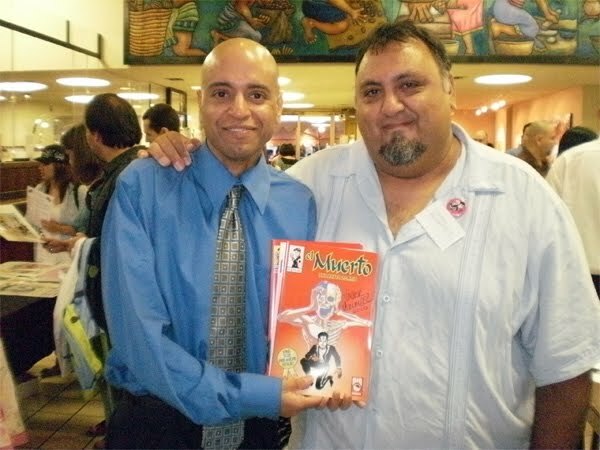 I also recommended REBEL WITHOUT A CREW, filmmaker Robert Rodriguez's account on filming his no-budget indie film, EL MARIACHI. 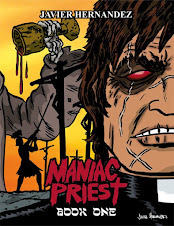 There are a lot of parallels in trying to make a film with a mere handful of collaborators and a pittance of money with creating and publishing your own comic book. I found enough inspiration and instruction in the book to keep it on my 'Recommended reading' list for DIY cartoonists. I really do enjoy this type of instruction, in that I'm conveying information and my personal experiences to adults who are planning to publish their own comics. I've taught lots of 'how to draw comics' classes to kids, and that's rewarding in it's own way. Teaching a youngster basic storytelling principles and seeing them apply some of that information to the way the create is a wonderful experience. But knowing that someone has their own story to create, and is specifically looking for instruction and insight in how to approach all the publishing aspects (costs, marketing, presentation, etc) involved, that makes me feel like I'm giving someone a very practical set of tools. 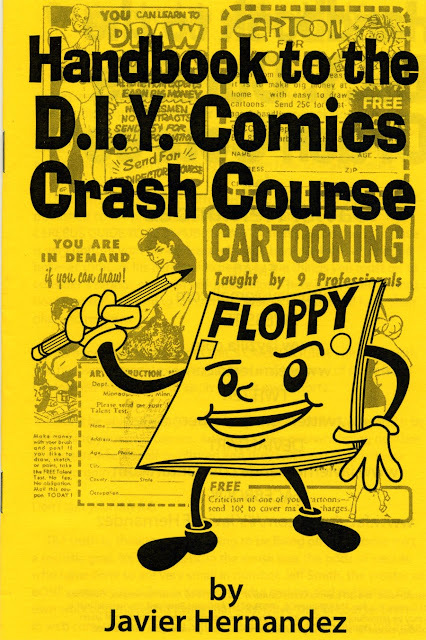 Sure, it's based on my own feelings about approaching DIY comics, but since I'm making the effort to provide my services, I don't have to teach anyone else's methods. I'll refer to other things that some creators have done, but I speak best about my own experiences and what's worked, or hasn't worked, for me. Like I mentioned earlier, there was a lot of interaction between these guys about what they were working on. I think that's very helpful because it let's people see that everyone is in a different stage of working or planning their books. A nice comment someone made was that it would be neat to see, in another year or two, where everybody is at in their role of self-published cartoonists. I agree! 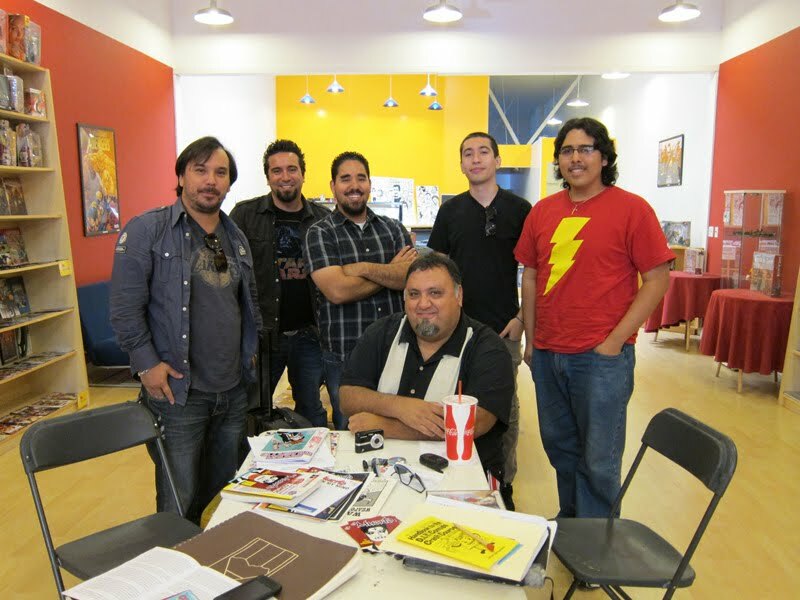 Thanks to the attendees, and thanks as always to GEEKS Comics for hosting the workshop. 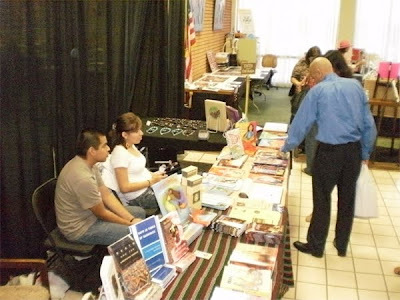 This past Saturday I attended the fundraiser event for the upcoming LATINO BOOK & FAMILY FESTIVAL and the event turned out to be an even more pleasant experience than I could have imagined. 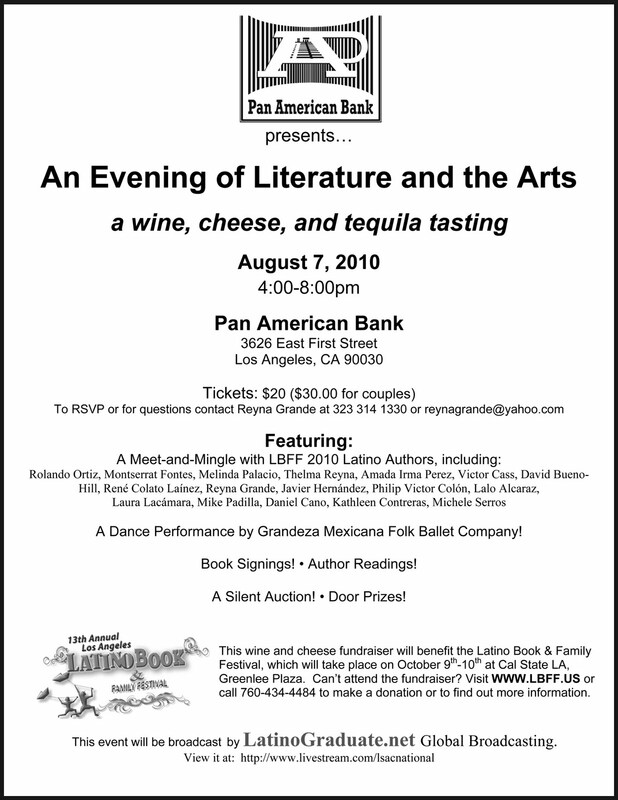 My gratitude to author Reyna Grande for inviting me to participate, and to the LBFF and Pan American Bank for putting on such a wonderful event. 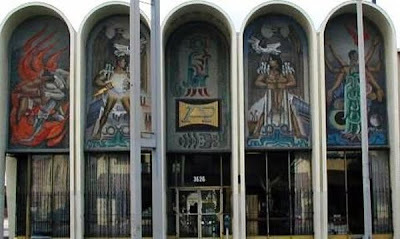 The fundraiser was held at the Pan American Bank in East Los Angeles. 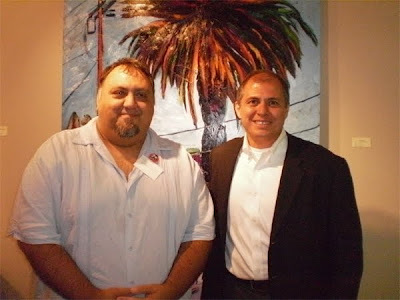 Jesse Torres, the CEO, was very generous in hosting the event. This bank really does live up to the phrase 'serving it's community'. Banks today are seemingly perceived as despicable as Hollywood studios and lawyers, but the Pan American Bank seems to really keep their focus on servicing their patrons and the community at large. Their sponsorship of art and literature is welcome evidence of that. 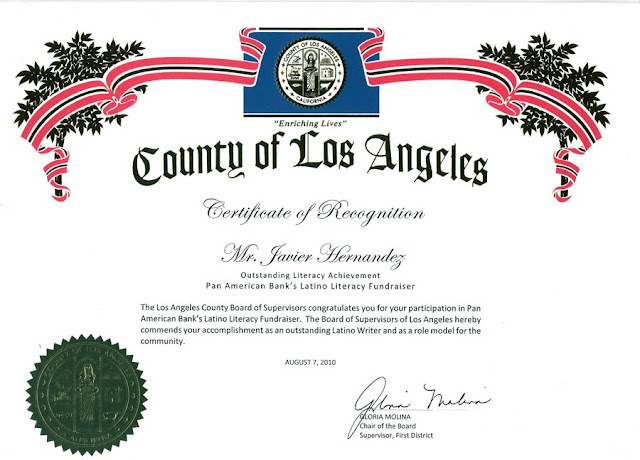 Bank CEO Jesse Torres. We're standing in front of a painting that's part of a small exhibit they currently have in the bank. Some of the bank's permanent art on display. Plus all the goodies for the silent auction. I wish I had taken more photos, but sometimes I just get so caught up in the moment of participating in the event and meeting people that I forget to get my Jimmy Olsen on! The inside lobby had tables for authors and other exhibitors. The area immediately outside the bank, leading to the parking lot, had a huge tent set up, where the majority of the events took place, such as author interviews and readings. You can see more pics of the event at this Facebook photo page. Among the exhibitors on hand was TIA CHUCHA'S CULTURAL CENTER & BOOKSTORE. I've actually exhibited in a group art show there some years ago, so it was nice seeing them again. They sold my comics, and the other author's books, at their table. 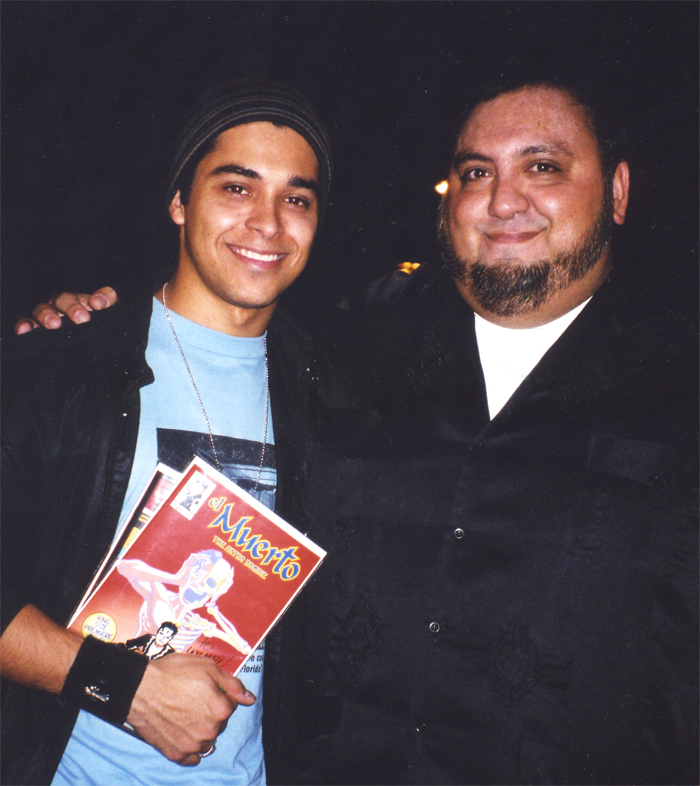 Philip Victor, comic book writer. I had met Philip some years ago, and he actually suggested to the festival organizers to invite me onboard for the fundraiser. Thanks Philip! 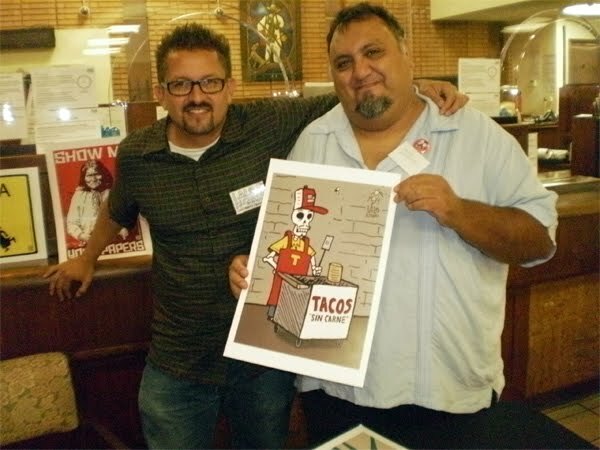 It wouldn't be an LA Latino event without Lalo Alcaraz, the creator of the newspaper strip LA CUCARACHA. I've known Lalo for years now, and he never ceases to amaze me with his escapades. He was actually at another event prior to this one! Among other folks I met was a librarian for a local University who bought my comics for her library's collection. And I also met the director of a company that offers webinars, so we talked about me perhaps teaching on online comics workshop. A funny situation that happened was a fan walked up to me, waving, "Hi Javier!". Of course, I didn't recognize him, but he reminded, in a good-natured tease, "You haven't added me as a friend on Facebook for a year!". Well, from there we hit it off just fine. And I can now report to the entire internet audience that Anthony and I are now officially Facebook Friends! There was a great surprise later in the evening. For about an hour or so they held an author's panel, with all 20 or so attending writers and artists being given short interviews. At the end of the interviews, we were each presented with Certificates of Recognition from city, state and even Congressional representatives. These were in recognition for our support of the Latino Book Festival and our individual efforts as creative people in the community. 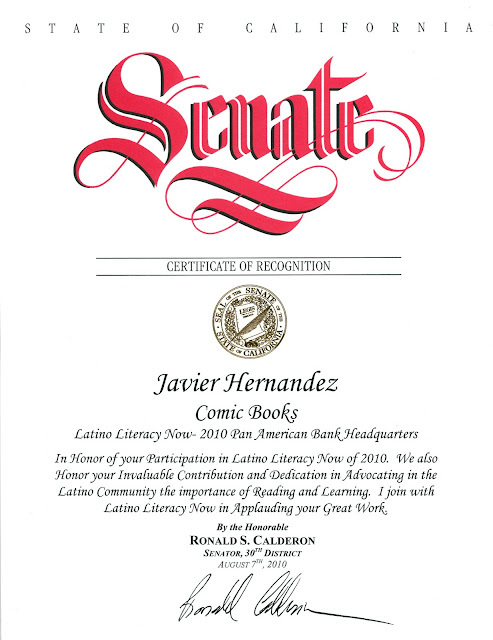 After 12 years as a self-published comic creator, and considering everything I've done and been involved with, this felt really good to receive. Especially since it was completely unexpected. I just love seeing the Congressional logo, my name and 'Comic Books' on the same certificate! I guess there's more to comics than "Bam! Pow! Ka-Blam!". I'm glad they wrote 'comics' too, not 'graphic novelist' (hate that word) or 'sequential pictorial narratives' or some other artsy fartsy word some writers and artists try to prop up. 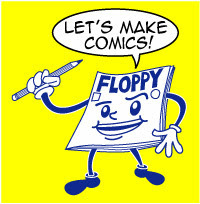 I make floppy, stapled comic books, folks! Seriously though, these were very nice to receive. 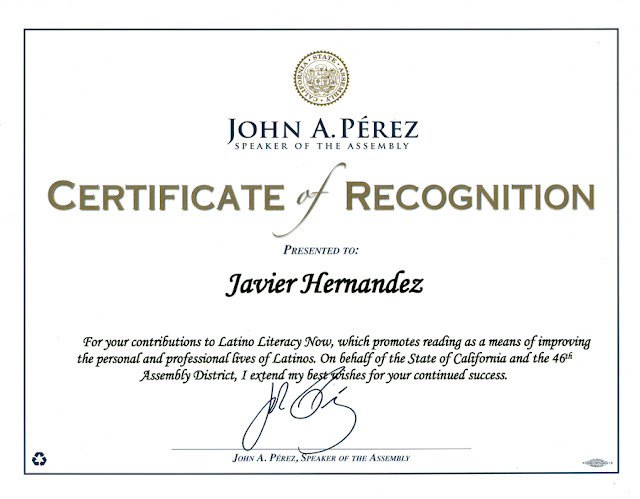 Thanks to the Latino Book Festival for arranging these for us, and to the various representatives for awarding these. Sure, it's not like they all read my comics and say 'Give that guy an award!'. But it is recognition for our work as artists who give our time and efforts to instilling some creativity and imagination in others. Over the last 12 years, I've spent the majority of my time in comics trying to sell my books and artwork, promoting my name and my brand (because one becomes a self-publisher primarily to sell one's work directly). But I've also spent lots of time, once I realized the value it gives to others, talking to students and teaching kids about art and comics and showing them the value of expressing themselves through comics. 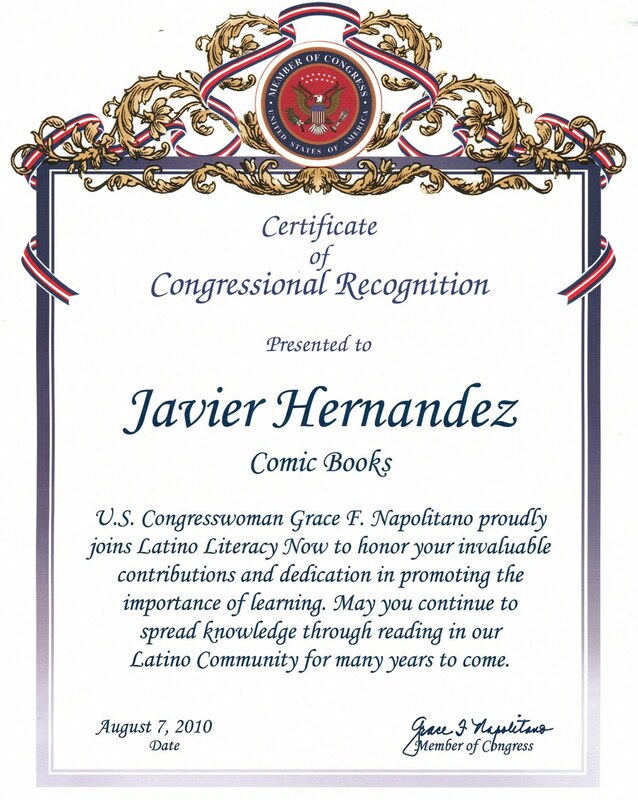 Like I told me friend Irma at dinner that evening, I look as these certificates as a nod to some of the educational things I've been doing since I published my first comic back in 1998. My only question is: Was the President too busy running the country to sign a certificate for a comic book guy?! Sheesh! If you're in Los Angeles this Saturday, I'll be attending the fundraiser for the upcoming LATINO BOOK & FAMILY FESTIVAL. I'll be exhibiting at the LBFF this October, as well as appearing on a panel. It's been awhile since I've been to the Book Festival, so I'm very much looking forward to getting behind a booth again. And for the first time in some years, I'll be tag-teaming with Rafael Navarro, creator of SONAMBULO, selling our comics and doing our spiel from the same booth! 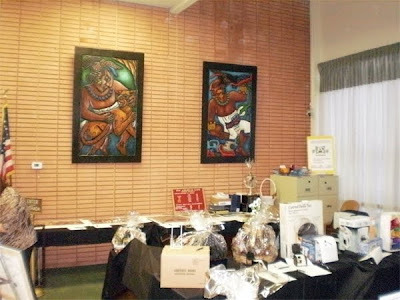 The fundraiser is this Saturday, from 4-8pm, at the Pan American Bank in East Los Angeles. 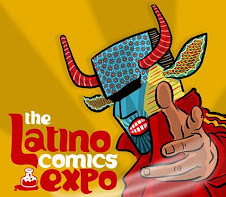 If you can, please come out and support the Latino Book & Family Festival.